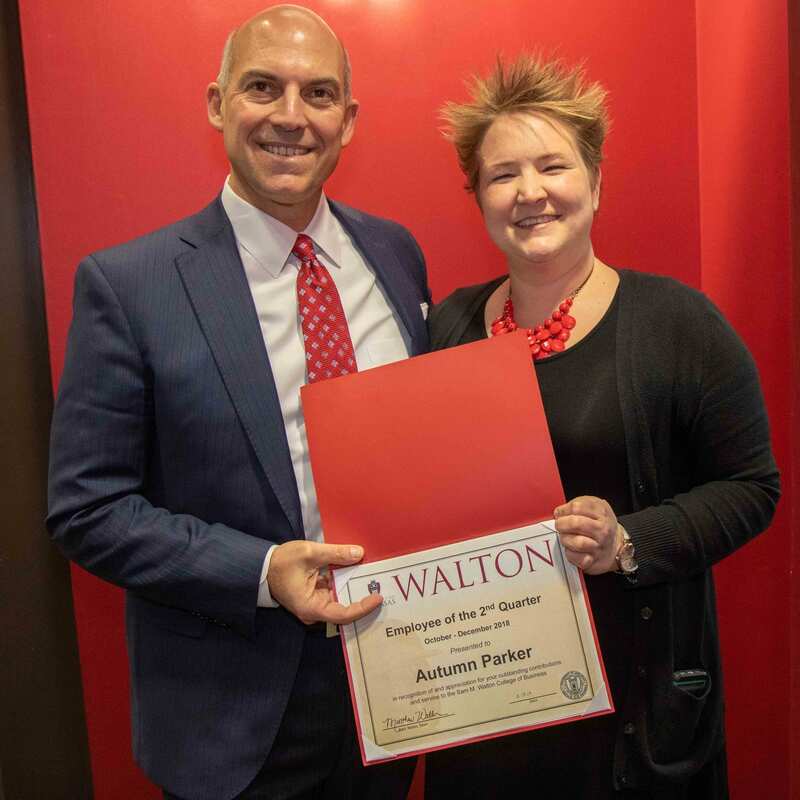 Dean Matt Waller recognizes Autumn Parker as Employee of the 2nd Quarter for Walton College. 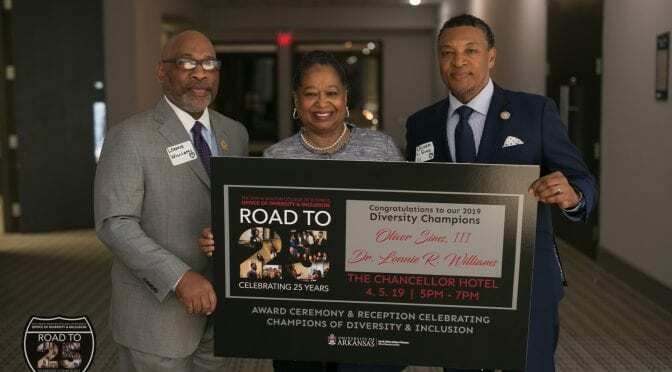 Autumn Parker, director for undergraduate recruitment and enrollment management, has been named employee of the second quarter by the Sam M. Walton College of Business. 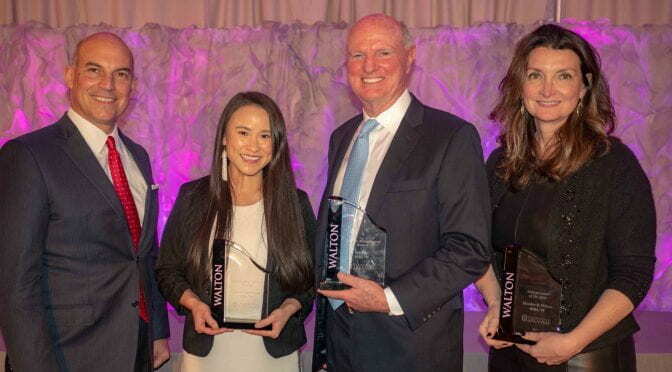 Along with Parker, Carolyn Eiler, stewardship & events manager; Michael Gibbs, associate director of enterprise technology; and Christina LaChance, administrative specialist II in Undergraduate Programs, were also nominated for their contributions to Walton College. 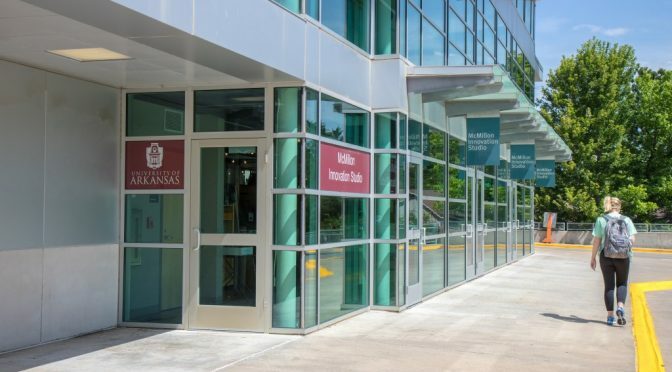 The McMillon Innovation Studio at the Sam M. Walton College of Business is joining forces with the Office of Entrepreneurship and Innovation to bring a series of workshops and services to university students, faculty, staff and alumni during the spring 2019 semester. The workshops and services focus on building skills needed for innovation, creative problem-solving and meaningful collaboration. Foster an open and collaborative environment. Facilitate an “agile” way of working. Get people outside their comfort zone. These workshops are deployed on an as-needed basis, typically at the start of a class with group projects. Email oei@uark.edu to schedule. Create an open mindset to change and iteration. Understand empathy and why it is important. Practice drawing key insights from an empathy map and customer discovery interviews. Workshops will be held Feb. 20 from 5:45-7 p.m. at the Brewer Family Entrepreneurship Hub just off the Fayetteville square or on Feb. 26 from noon-1:30 p.m. at the McMillon Studio located in the Harmon Parking Garage on campus. Understand the importance of failure. Know how to use feedback loops to inform iterations. Practice prototyping in the McMillon Studio makerspace (3D printing, digital tools, sewing, drawing, etc.). Workshops will be held March 6 from 5-6:30 p.m. or on March 12 from 5-6:30 p.m. at the McMillon Studio. Learn the essential parts of a good story. Learn how to identify a target audience and tailor a message to that audience. Practice telling their stories live. Workshops will be held March 27 from 5:45-7 p.m. at the Brewer Hub, April 2 from noon-1:30 p.m. at the McMillon Studio, and on April 10 from 5-6:30 p.m. at the Brewer Hub. Learn the principles of business viability (cost structure and revenue streams). Learn how to identify and apply for grant funding. Understand the value of interdisciplinary teams. Workshop will be held April 3 from 5:45-7 p.m. at the Brewer Hub. Speed Consulting – Individuals and teams working on a business or idea can bring their questions and get advice from a range of experienced consultants, in fields ranging from marketing to design to intellectual property, in one afternoon. Consultations will be held Feb. 20 from 2-4 p.m. at the Brewer Hub or on April 19 from 2- 4 p.m. at the McMillon Studio. 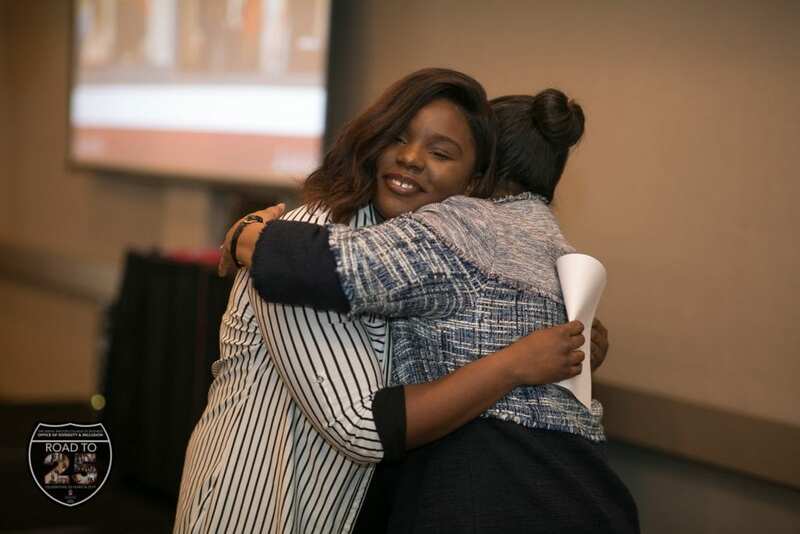 Speaker Series — Be inspired by intrapreneurs and entrepreneurs with a story to tell in an intimate, conversational setting. Lectures are held April 17 and on May 1 from 5-6:30 p.m. at the McMillon Studio. 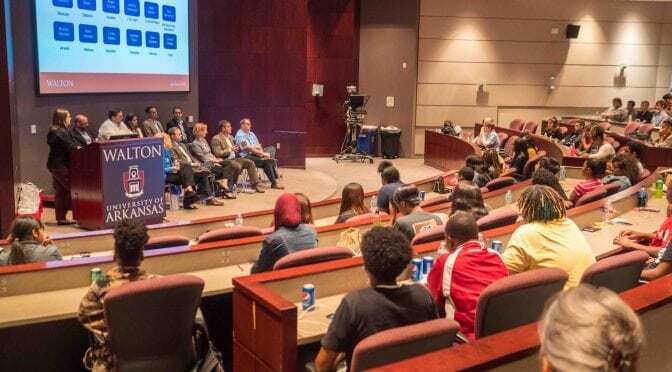 Faculty Bootcamp – Faculty interested in using innovation and entrepreneurship workshops in concert with their classes or programs can join this two-hour session for an overview of the content. Workshops will be held March 5 from noon-1:30 p.m. at the McMillon Studio and on March 6 from 4:30-6 p.m. at the Brewer Hub. The Brewer Family Entrepreneurship Hub is located at 123 W. Mountain Street in Fayetteville. The McMillon Innovation Studio is located at 146 N. Harmon Avenue. All events require preregistration. To register for the workshops, visit oeiworkshops.eventbrite.com. For additional information, email mcmillon@walton.uark.edu or oei@uark.edu. 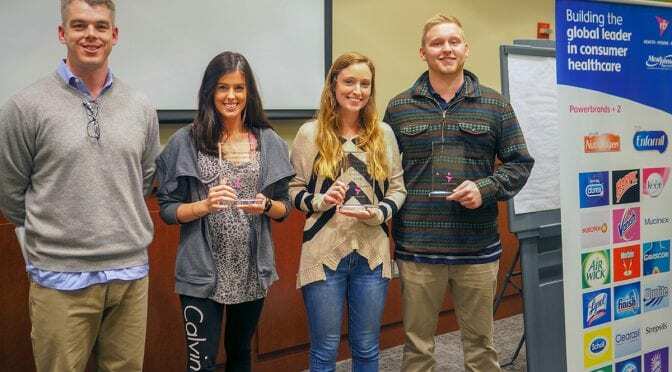 RB, a multinational consumer goods company, challenged students at the Sam M. Walton College of Business to think about the corporation’s product in totally new ways. While the challenge competition lasted only two days, the winning team continues to reap the benefits. On the second day, student teams presented solutions to RB. While Wagaman, Brooks and Seelye’s team won the challenge, they received more than just bragging rights. 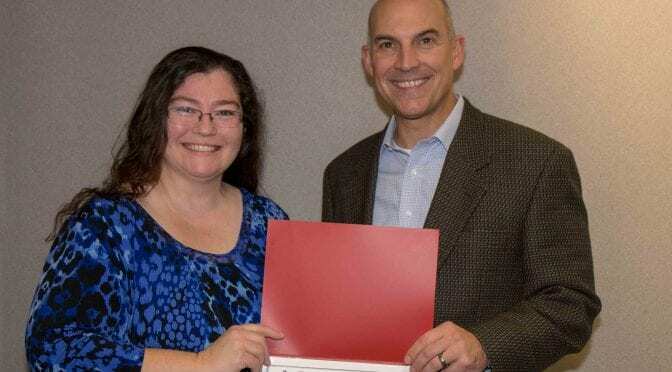 Amy Moore, administrative specialist III for outreach, has been named employee of the first quarter by the Sam M. Walton College of Business. Along with Moore, Alice Frizzell, assistant director of information systems graduate programs; Monica Gammill, assistant director in the accounting center; Rachel Hobby, assistant MBA director at the Graduate School of Business; and Amanda Waters, administrative specialist II in the Department of Management, were also nominated for their contributions to Walton College. 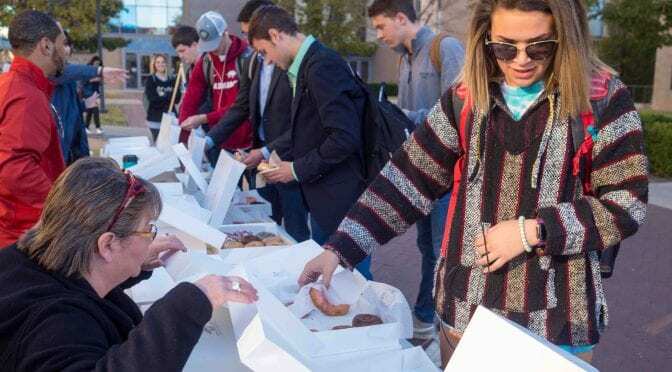 The Office of Diversity and Inclusion and Walton Career Services at the Sam M. Walton College of Business are hosting a picnic and networking event, panel discussion, recruiting information session and doughnut giveaway Oct. 8-11 to promote diversity in the workplace. A Diversity in the Workplace discussion will take place in the Reynolds Center for Enterprise Development auditorium on Wednesday, Oct. 10, from 4-5 p.m. with senior leaders from Walmart, General Mills, Academy Sports + Outdoors and J.B. Hunt Transport Services, Inc. Panelists will discuss diversity and inclusion, thought processes and perceptions, and changes in mindset. Pre-registration is required. Picnic on the Plaza– Find free food and corporate recruiters Monday, Oct. 8, on Shollmier Plaza from 11 a.m. to 1 p.m.Bring your resume and your appetite! Women’s Leadership in Business Coffee Chat— Join a small group discussion about women’s leadership in the business world and career development on Tuesday, Oct. 9, 9:30-10:30 a.m., in WJWH 501. Space is limited. Pre-registration is required. Pitched Perfect– Deliver an elevator pitch to corporate recruiters and get their feedback on Tuesday, Oct. 9, 3-5 p.m., in WJWH 203. Pre-registration is required. Company of the Day: Academy Sports + Outdoors– Talk with corporate recruiters about career opportunities and diversity hiring on Wednesday, Oct. 10, in the WCOB second floor atrium 9 a.m.-noon and 1:30-3 p.m. Info sessions will also be held in WJWH 203 starting at 12 p.m. and 1 p.m.
Diversity Doughnut Day– Grab a doughnut on Thursday, Oct. 11, from 8:30 a.m. until they are gone! Pop-Up Shop on Global Intercultural Fluency– Join Walton career coaches on Thursday, Oct. 11, 10:30 a.m.-12:30 p.m., in the WJWH atrium for career advice on the go. 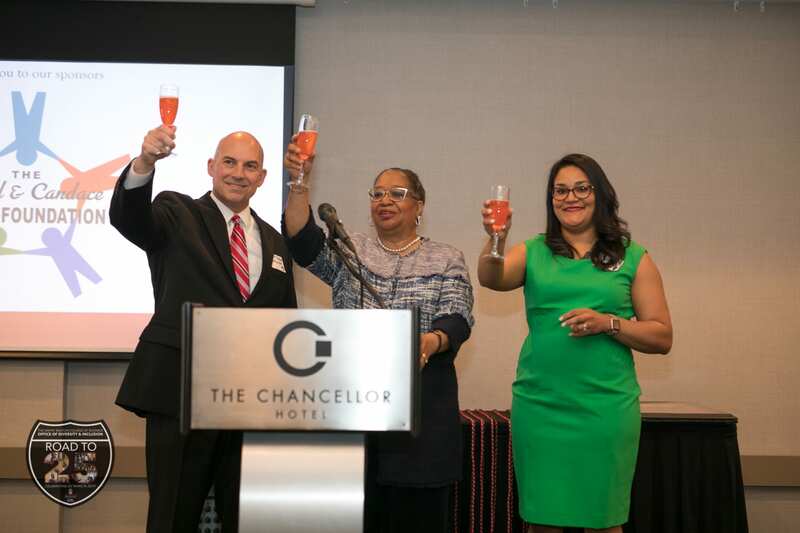 Multicultural partners will share global engagement opportunities. Visit Handshake to pre-register and learn more about each event. 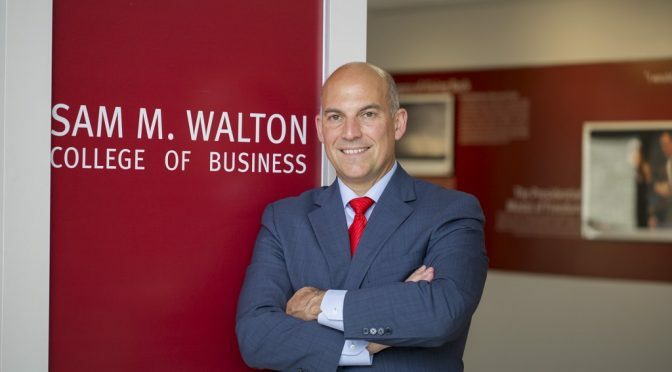 For additional information, contact Catherine Beasley, manager for Corporate Programs at CBeasley@Walton.uark.edu or visit Walton Career Services online at walton.uark.edu/career.